Well-lit rooms equipped with modern amenities for a comfortable experience. 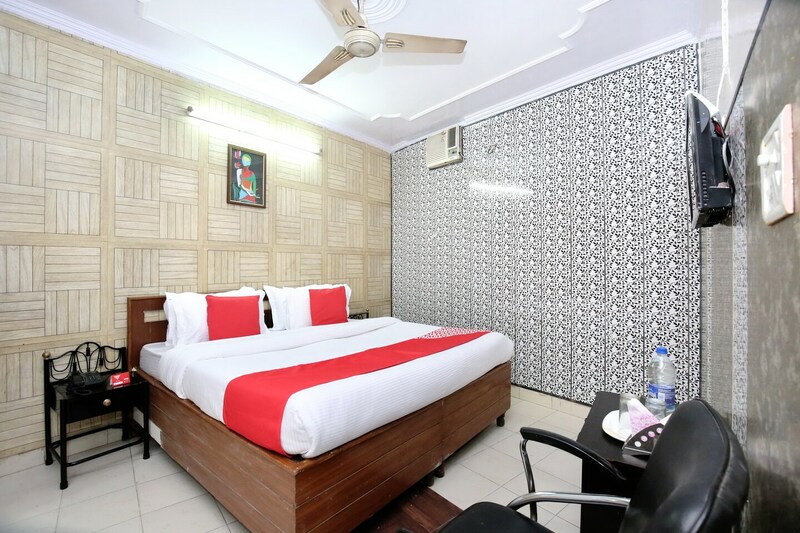 Hotel Star Welcome is located in a prime location and offers a modest stay to its residents. The rooms have different types of wallpapers which makes it look appealing. The space is furnished with minimal furniture to provide ample space for the guests. The painting adds colour and vibrancy to the room. The cushions are brightly coloured which makes the space look lively. The hotel offers laundry services to its residents. It accepts card payments and has CCTV cameras around the property to ensure safety of the guests. It is well-suited for all kinds of travellers.